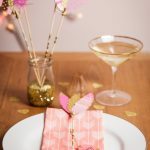 Fancy something a bit different to the usual place cards on your tables? 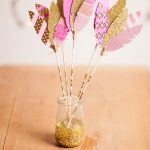 We love these cute ideas – you can find even more on our Pinterest page. 1. 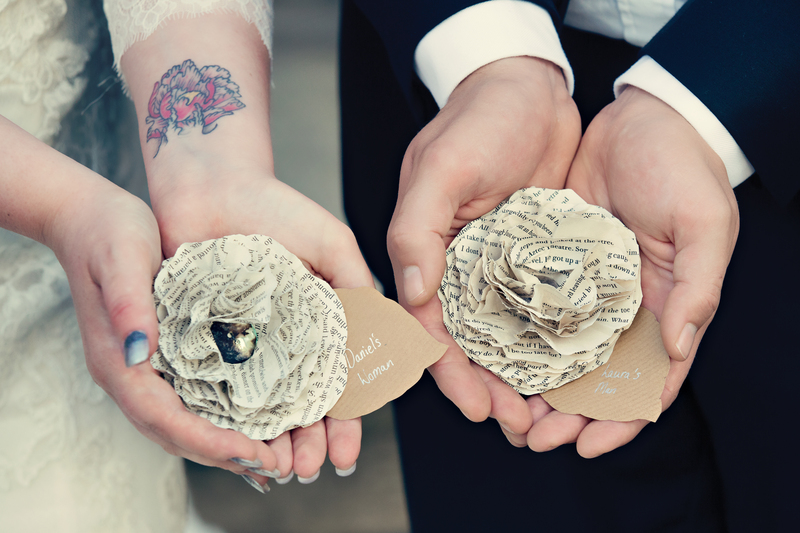 These paper flowers are made from old book pages – hunt out copies of your favourite love stories at charity shops and cut out the individual petals from pages (if you can bear it). Sweet huh?